ANZ Nature Tours prides itself in finding the very best and most suitable services for your clients. Our dedicated team of inbound consultants are passionate about tailor-making unforgettable holidays to suit your clients' unique preferences and interests. 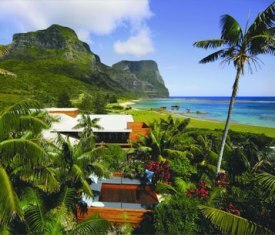 Exclusive hideaways can be found in spectacular places, for example situated on an island in the middle of the Great Barrier Reef or nestled within an ancient rainforest! Each utterly unique, they offer rest and recreation to guests in serene surrounds. Have you been dreaming of special adventure experiences like a sightseeing flight to Antactica? Please click here to contact us about luxury travel options.